The land of Hida, where the Kanayama Megaliths are located, may not be so well known historically as other parts of the country such as Kyoto and Nara. And yet its history stems from the Jomon Period, 12,000 BCE to 300 BCE. 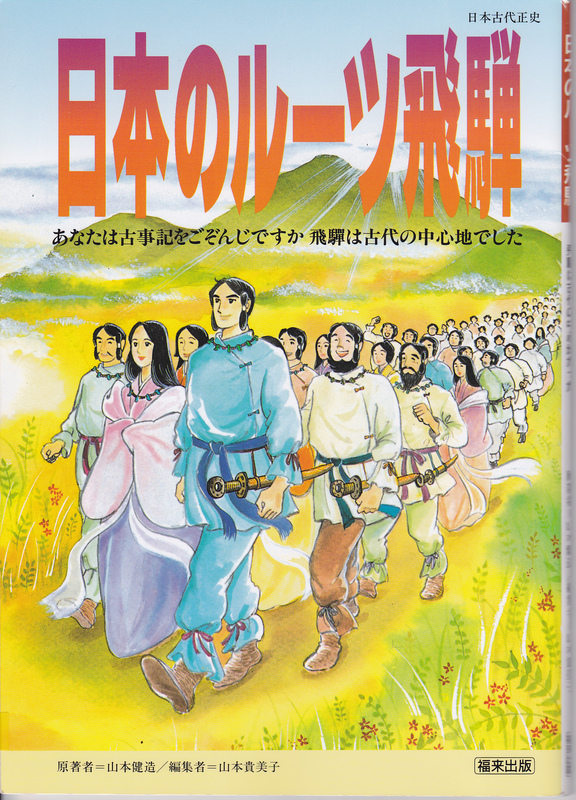 In the article presented below, the unnamed author declares that there are many folkloric sources that reveal the possibility that Hida was the place where civilization began, ultimately leading to the modern nation of Japan. 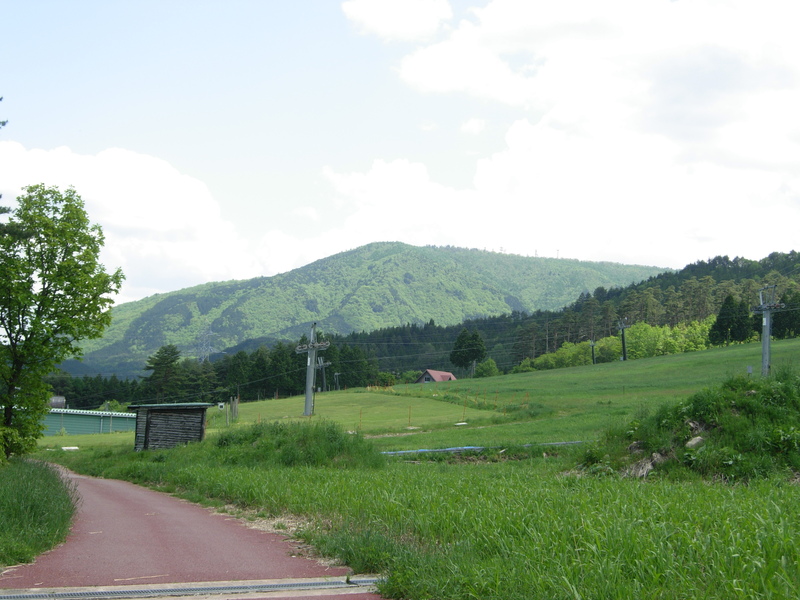 This entry was posted in Ancient civilization, Hida, Hotsuma, Jomon, megaliths, pyramids, Sacred sites, Takenouchi on 2016/06/26 by Okunomichi. 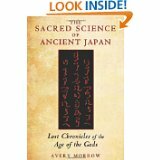 Avery Morrow, The Sacred Science of Ancient Japan: Lost Chronicles of the Age of the Gods, 2014, 224 pp, Bear & Company. 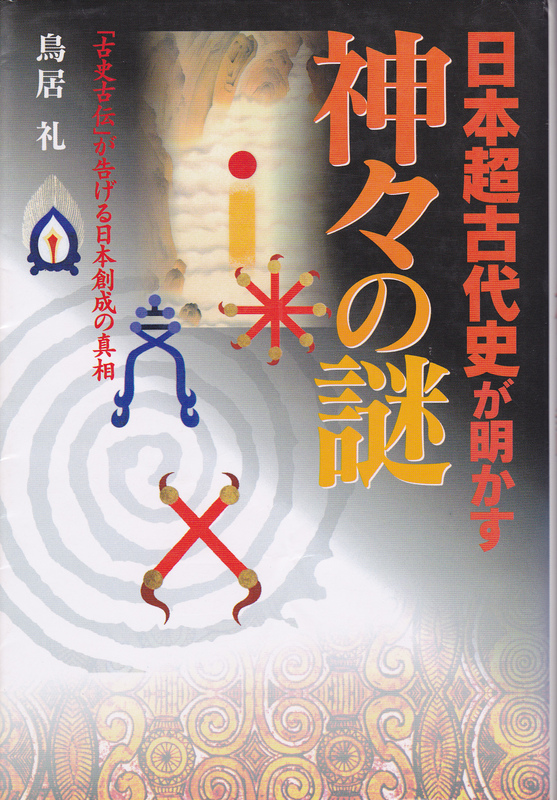 In this book, published in January 2014, Avery Morrow discusses four (of many) parahistorical documents: Sendai Kuji Hongi Taiseikyo, Hotsuma Tsutae, Takenouchi Documents, and the Katakamuna Documents. These are arguably the most important. He provides information not readily available in English. Ever since the eighth century, the only written records acknowledged by conventional historical researchers have been the Kojiki, Records of Old (712 CE) and the Nihon Shoki, Chronicles of Japan (720 CE). They have enjoyed 1300 years of official sanction in Japan and later in the West, and are together referred to as the Ki-Ki. The Kojiki has two English translations, those by Basil Chamberlain and by Donald Philippi. The Nihon Shoki translation by George Aston has no rival. Indeed, these three books have had no rival – until now. Morrow entreats us to consider the four parahistories as offering valuable possibilities for prehistoric times. In so doing, we push back the horizon of prehistory to well before the start of the Common Era. Ancient people have long had writing and enjoyed a high level of culture, as advances in archaeology are now confirming. The stories of the classical Ki-Ki are regarded by moderns as mere myths. What if they were legends of actual people and events? We would need to delve into the mythology to uncover and understand their real meanings. Myths are often historical, scientific information allegorically disguised as fantasy. There are subtle reasons for this. Morrow has taken this challenging area of research and ably presented them in a well-organized, direct, manner. A chapter is devoted to each document and obviously serves only as an introduction. The reader must continue to search for further information, as yet only available in the original Japanese. 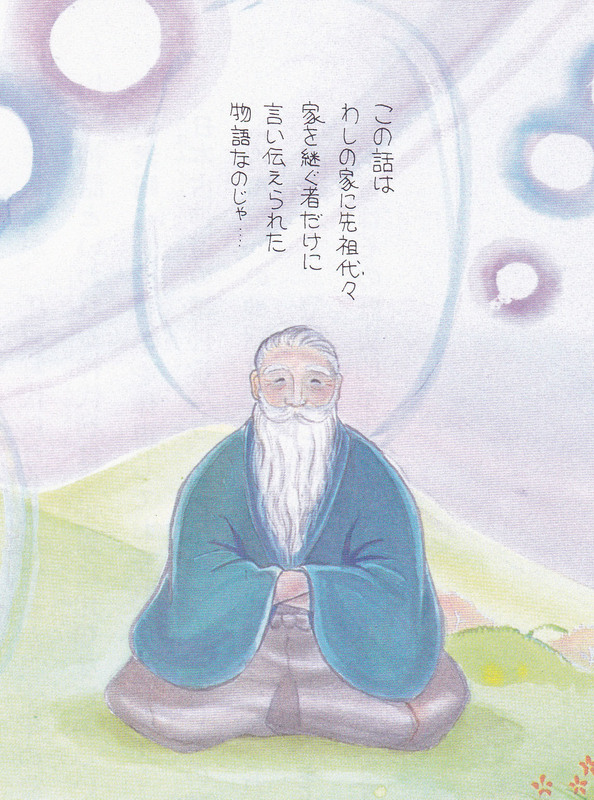 Okunomichi presents in the pages of this blog site our translations of rare Japanese sources. We encourage the reader to learn from this book and continue to extend the research and spread the findings. They will be joining Morrow, Andrew Driver, and Okunomichi in this quest. We commend Morrow for opening the way. In our current period, hidden histories are emerging into the public eye. Even more important, hidden teachings are being unveiled. These teachings will guide us to a new era of higher spiritual development, a return to a Golden Age at a more advanced and integrated level. This entry was posted in Ancient civilization, Hotsuma, Katakamuna, Takenouchi and tagged Avery Morrow, sacred science on 2014/03/24 by Okunomichi. Kototama is the spirit and the power of sound. It is an ancient practice, hidden for a long time. 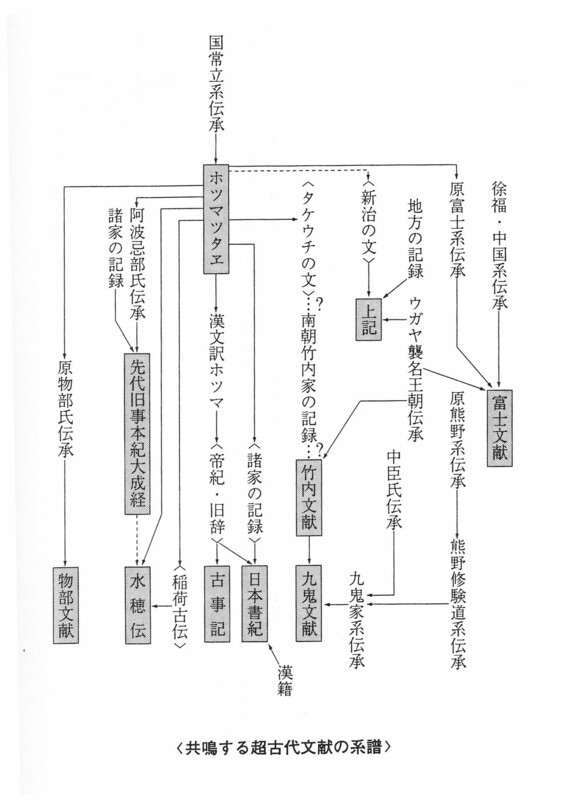 Ogasawara, Nakazono, and Shimada teach it using the amatsu iwasaka chart. 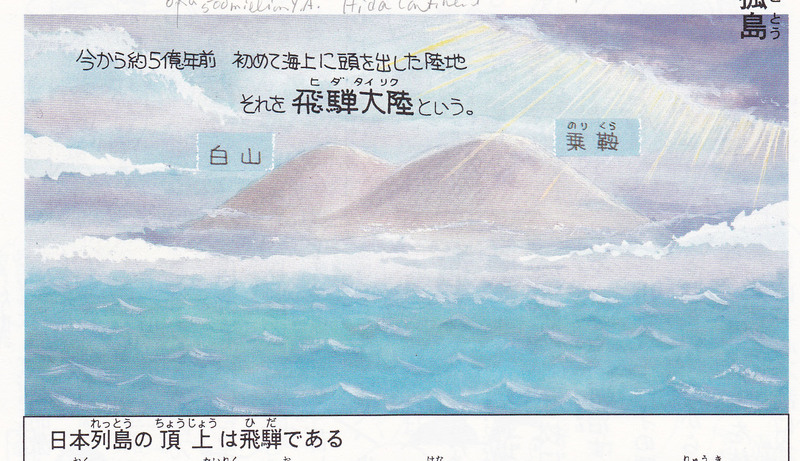 Also: ‘Iwa’ means fifty sounds of kototama. 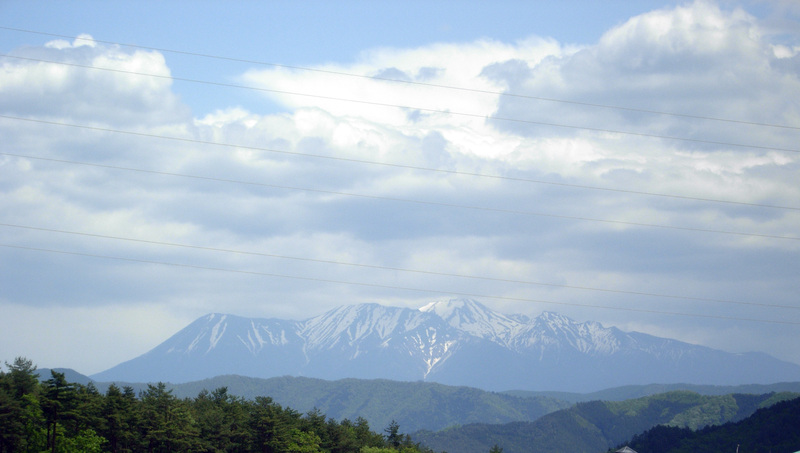 The completed kototama is called ‘futomani’. Amatsu means Heavenly, Divine. So this is a chart of the heavenly fifty kototama sounds. There is a circle at top which is the Void. However, it is not shown in this figure. Level 1. “U” or “SU” is Amemiwoya/ Amenominakanushi Kami, the creator of the universe. Level 2. Division into male and female, heaven and earth. “A” is Takamimusubi, High Producer, male, centrifugal force, vertical, Heaven. “WA” is Kamimusubi, Divine Producer, female, centripetal force, horizontal, Earth. Note the form, the resemblance to a Tree of Life which it indeed is. A-WA is like Alpha-Omega of creation. Vowels are called mother sounds; consonants are father sounds; syllables beginning with W are half-mother sounds. Other syllables are made by combining consonants with vowels. The story of Izanagi and Izanami in the Kojiki reminds us that the father goes first. This entry was posted in Kototama, Takenouchi and tagged Futomani, Nakazono, Ogasawara, Shimada on 2013/07/29 by Okunomichi.